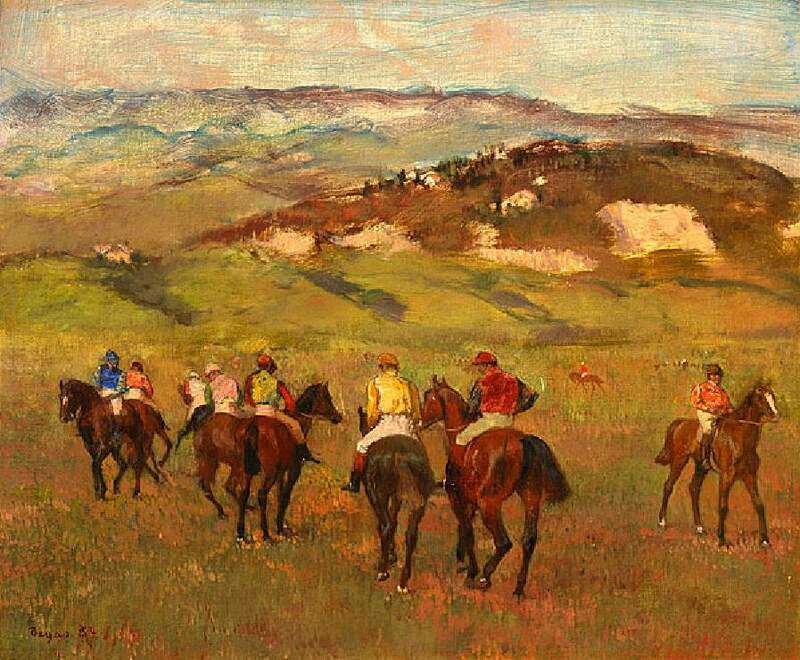 For the past couple years I have been compiling equestrian imagery; horses, horseshoes, ribbons, anything that spoke about horse riding and racing. I don’t own a horse. I did take horsemanship 101 in college for a PE credit though. That was quite an experience, which deserves an entire post of its own. All I will say is rest in peace Glory. I digress. 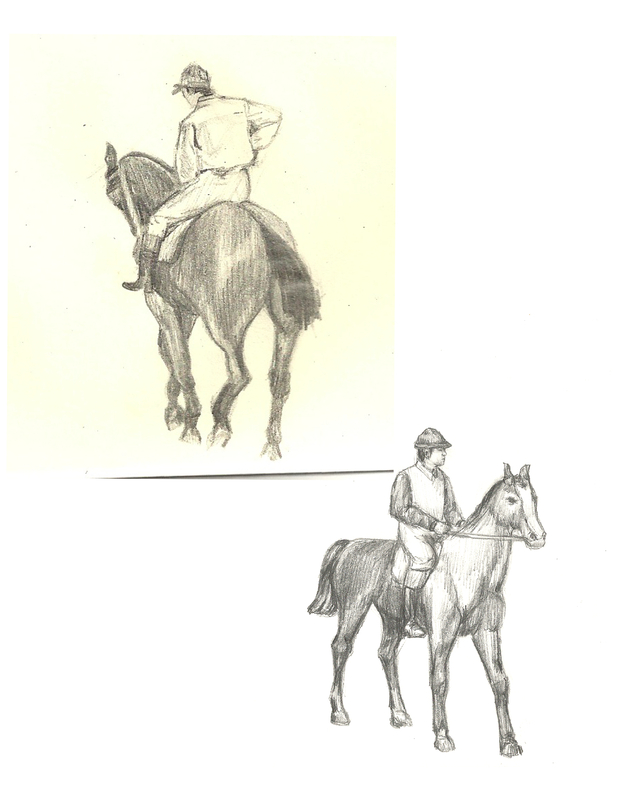 So finally, I am getting around to drawing some of the equine imagery I have been collecting, and wanting to put on my work. Now that we live in Boston, we go to the MFA quite often. 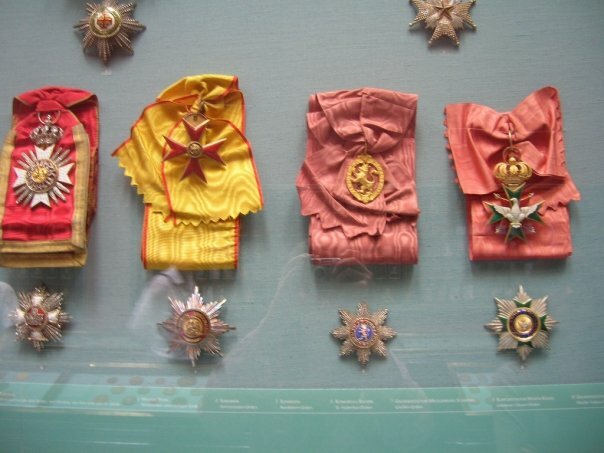 I have a few favorite spots that I like to visit in the museum. My current favorite spot are the four paintings on the left wall outside the entrance to the Impressionist room, on the 2nd floor (Hallway #253). (Did you follow that?) I think I love each of those four paintings equally. 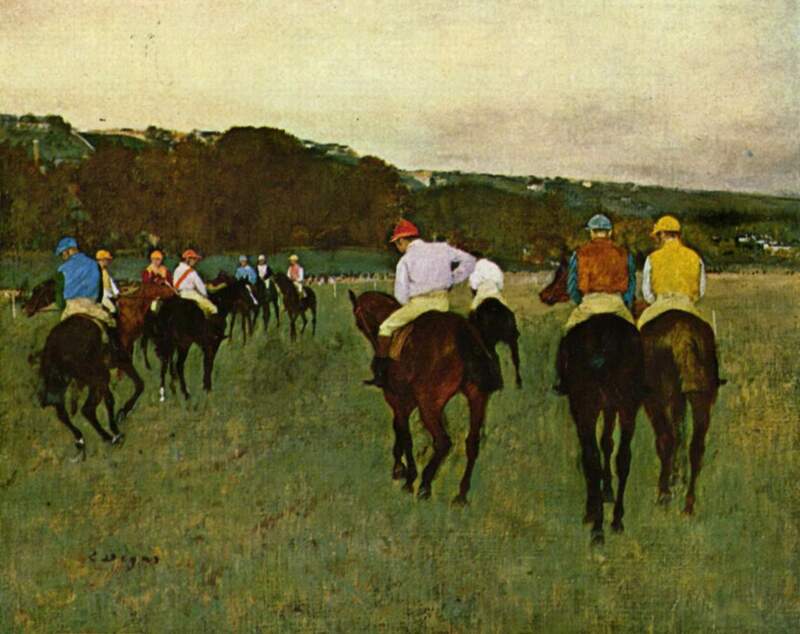 One which has inspired me recently is the Horse Race at Longchamp by Edgar Degas.I did a sketch of one of the riders in the foreground (top sketch). 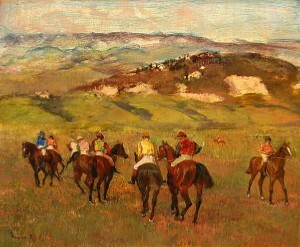 The second (bottom) sketch is from another painting by Degas, Jockeys on Horseback Before Distant Hills. 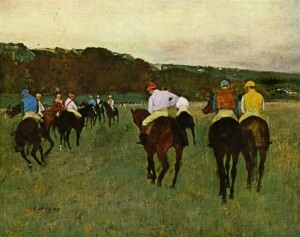 I had to improvise a bit with the second jockey, since the image in the painting was pretty blurry and was placed more distant in the painting (jockey far right). I think that I still may do one more horse and jockey sketch. Two more images that I just finished drawing, are below. 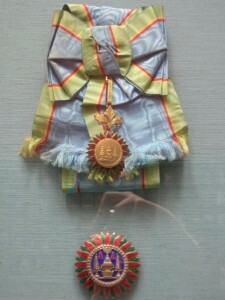 The ribbon, although not a true blue ribbon, at least makes reference to it. My sister and I saw these ribbons in the Kunsthistorisches Museum in Vienna a few years ago. 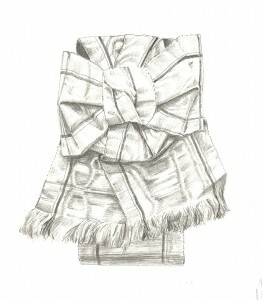 I eliminated the metal part of the ribbon in my sketch, mostly because I didn’t know what was an award for. I thought if I left it someone would recognize it and make a comment how it has nothing to do with horse racing. So now it looks more like a french cockade. Just for kicks I posted a row of these beauties. 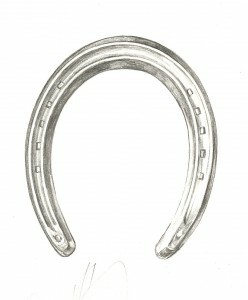 The last drawing is of a horseshoe, of course. Below the horseshoe there is a small remnant of Henri’s contribution to my drawing. Once I get these images made into screens, I will post some pictures of my Equestrian Pottery line.